Vincent Mason is known best for his role as PASEMASTER MASE aka DJ MASEO of the legendary hip hop crew DE LA SOUL. His interest in music emerged at the early age of six as he observed a family friend practicing on his DJ equipment. MASEO’s ambitious journey to stardom officially began when his mother gave him his very own set of turntables. Destined for success he dedicated all of his free time to mastering his craft by observing neighborhood DJs. MASEO made his first debut as a DJ at the age of twelve and by the time he reached high school his DJ skills were really on point. 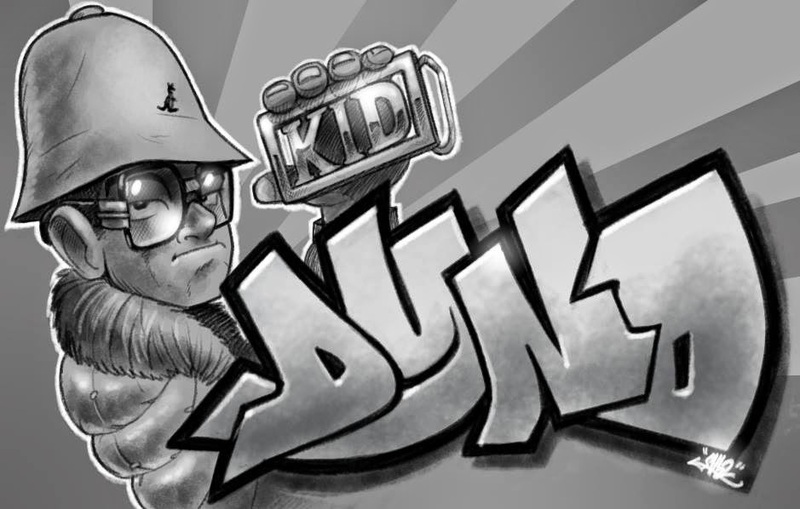 During his high school experience, MASEO’s life would be forever changed as he and two of his high-school friends, Kelvin Mercer and David Jolicouer, formed one of the most highly respected and critically acclaimed hip hop groups, DE LA SOUL. In 1989, the trio released their first album "3 Feet High and Rising". They were an instant success, despite being miles away from the "usual" sound of hip hop music, and their TOMMY BOY album was duly certified platinum. 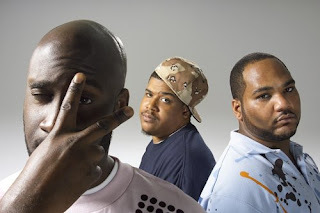 Since their initial release DE LA have added additional classic albums: De La Soul is Dead, Buhloone Mindstate, Stakes is High, AOI: Mosaic Thump and AOI: Bionix. MASEO's knowledge of music is damn hard to match, and to hear him drop records is mesmerising to say the least. But you do not have to wait long to check him out right here in the UK in BIRMINGHAM on SAT 21st Feb 2009. 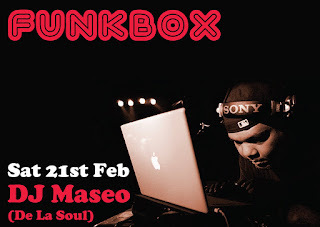 "As one third of hip-hop super-group De La Soul, DJ Maseo’s ability and immense talents behind the turntables has seen him travel the world, making the transition between turntable maestro to hip-hop phenomenon, he now lands at FUNKBOX to tear up the dancefloor. In 1989, De La Soul released their first LP ‘3 Feet High and Rising’ to worldwide acclaim and changed the face of hip-hop. The trio have continued to push the boundaries of hip-hop with their six further offerings, all of which have reached classic status with hip-hop heads and music lovers alike. It is fair to say everyone has heard a De La Soul tune. Most recently Maseo has founded a label and turned those years of rocking parties to good use by delivering his first official mix tape, chocked full of classic hip-hop and other funky gems. 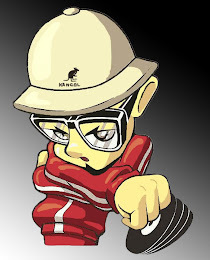 A true old school party DJ, Maseo will blend and mash up classic Hip-Hop, original funk breaks and anything else!! This is one definitely not to miss as a true legend does his thing behind the decks of the Hare & Hounds." maseo can ryhme folks!!!!! dont sleep!! !